Some time ago in my top 10 of Spring new collections, I wrote about Shiseido’s brand Majolica Majorca and their new liquid eyeliner named Line Hunter. I’m not really an “eyeliner person” but this new one attracted my curiosity as it seemed to have a really thin and precise brush. This brush also can make different look as it has different shapes, so you can draw different lines. The package I received is very classy and ensure the freshness of the product as it is clearly sealed inside. 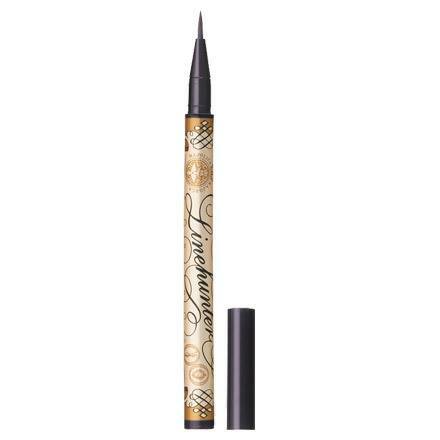 The liner itself is very, thin, and small, with a pretty design and a dark purple cap. As I’m not really yet mastering the eyeliner technique, I was quite hesitating while trying it but this one revealed to be very easy to handle and to use. The only reproach I could do is that the cap doesn’t fit on the top of the liner but well, just a question of praticality for me. 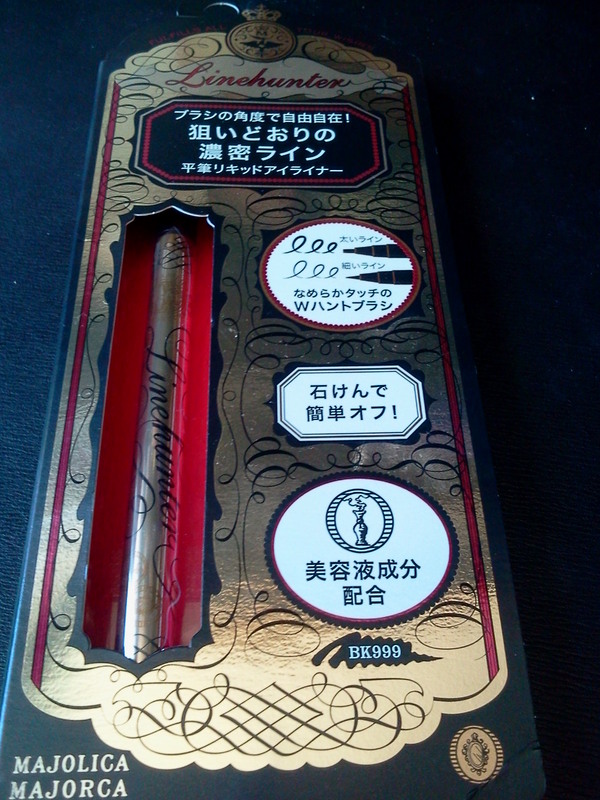 The brush is very soft and draws an enough deep black line. No need for a second coat and the amount of liquid released is really well measured. The buyers of this eyeliner are told that it is sweat and sebum proof and I think it’s true though I didn’t experienced this yet. However it is really easy to wash it off so no worries about irritations. As said earlier, the brush provides two types of lines: thin or thick, thanks to its angled brush. I tried both as well as a line made from the thinner part of the brush, the top itself, who works as good as the other parts. All makes very beautiful, bright and precise lines without the brush getting scattered. So it’s very easy to draw whatever type of line you want. 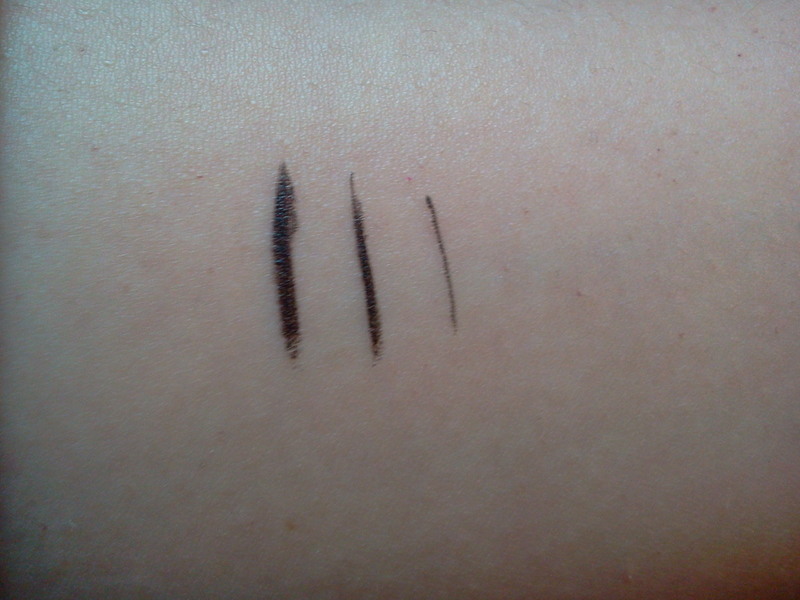 Here you can see on my skin the different thicknesses that this eyeliner can provide with one coat. About the lasting, it stays really long, but not all day, depending on the size of the line you made. But it is really an honnest lasting for the 2 (3) or them. 1. Hold the line hunter brush upright and draw a line using the narrow side from the inner corner of eyes to the center. 2. 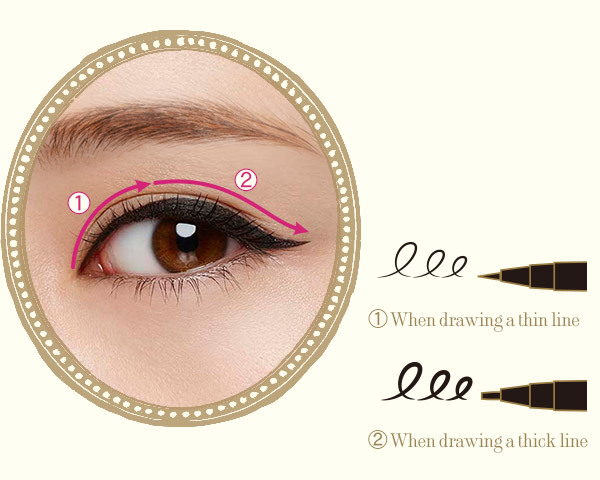 Hold the line hunter brush sideways and draw a winged-eye line from the center to the outer corner of the eye using the thick side.